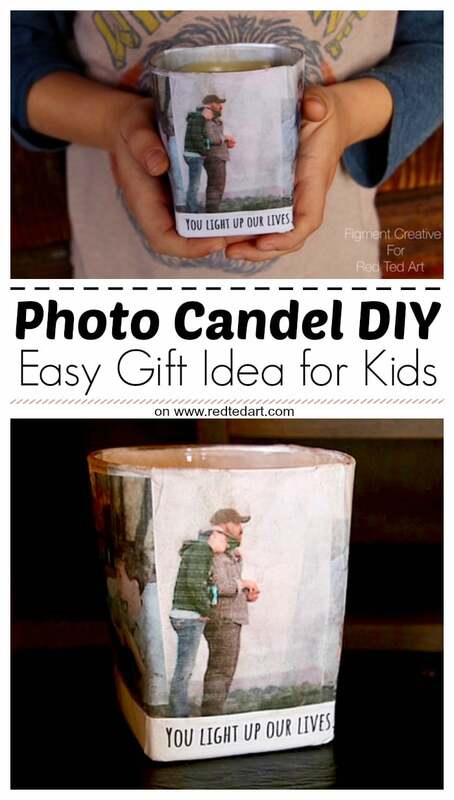 Easy Personalised Photo Candle Holders DIY – learn how to make these great Personalised Photo Candle Holders for Valentines Day or Fathers Day. 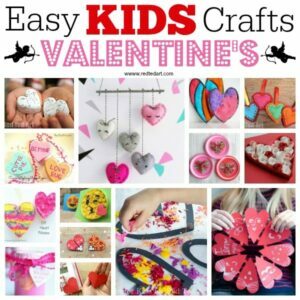 Keepsake Gifts for kids to make as part of our 31 Days of Love Guest Post Series. 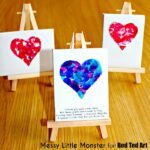 Today we have the gorgeous Amber from Figment Creative Labs sharing this great DIY Gift for Valentines Day How To. 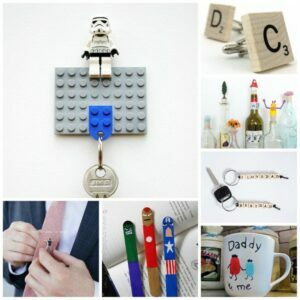 A perfect Kids’ Valentine’s Day Craft or Father’s Day Gift idea and of course our “40 Gifts for Him” post. 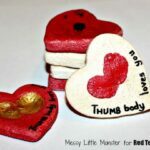 I am so happy to be part of Red Ted Art’s 31 Days of Love series. Thanks so much to Maggy for having us over to share our You light up our lives candle holder that we made for dad, for Valentine’s Day. 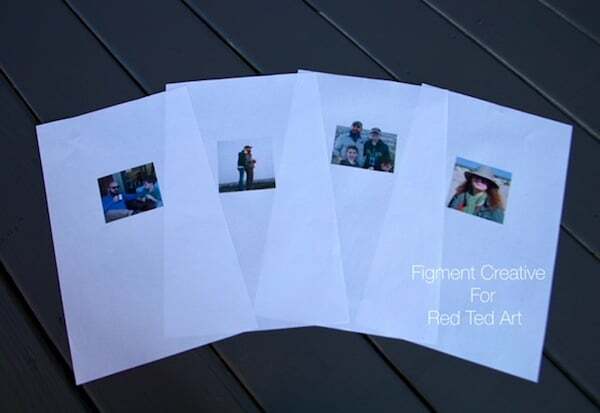 I am Amber with Figment Creative Labs. I started teaching art to kids in my garage 4.5 years ago. 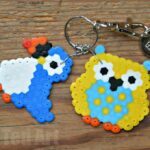 I share projects on my blog that I do with my two boys, as well as with my students. This year I plan to open a space devoted to creativity in Austin, TX. 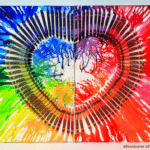 We will focus on process art, STEAM education (Science, Technology, Engineering, Art, Math), Maker Ed, creative play… If you would like to keep up with what we are creating, please follow us on Instagram and Pinterest. We had the amazing opportunity to travel to Africa this year. I selected four of the photos (out of the thousands I took) and we made a candle holder for a Valentine’s gift for my husband. The photos are sweet moments documenting this special family time spent together. We added a safety candle and the text, You light up our lives. It is reminder of this time in our lives and how much he means to us. I think this would be a fun project for anyone, since it can be personalized. We used a whiskey glass, since we made it at a family ranch in the middle of nowhere. I would recommend the small glass square candle holders that you can find for a dollar at Dollar Tree. The container you choose is up to you. We choose which photos we wanted. I opened the files up on my desktop and made them square and resized them to 3”x3” using Tools. 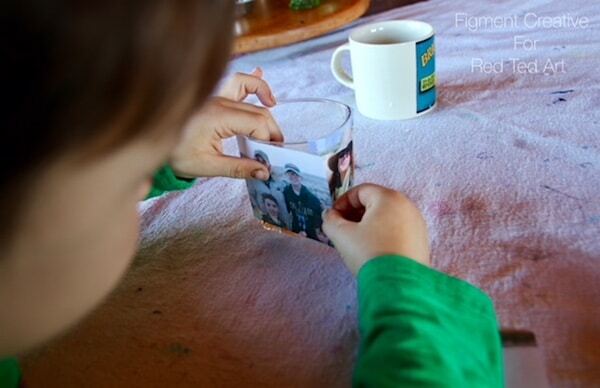 We printed the photos out on printer paper. We made watered down glue using warm water and glue. 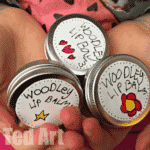 You could also use Mod Podge as a sealant if you like. 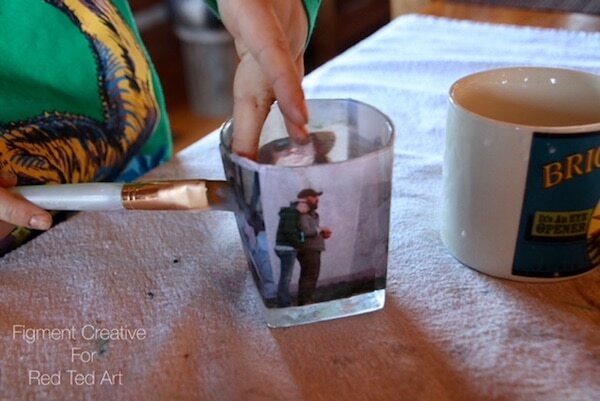 My son painted the glue mixture on the glass and attached photos. He painted over the image with the water glue to seal it. We typed out the text and did the same with it to create a boarder at the bottom. 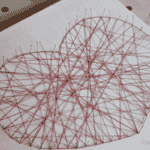 This is a super simple craft with a lot of love and meaning behind it. 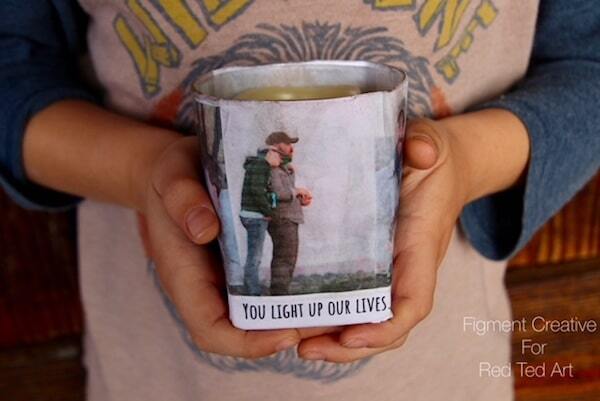 I hope you feel inspired by our gift, and make your own “You light up our lives.” candle. Happy Valentine’s Day! 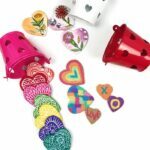 If you enjoyed this craft, you may want to see more gorgeous ideas by Amber.. why not check out the following!? 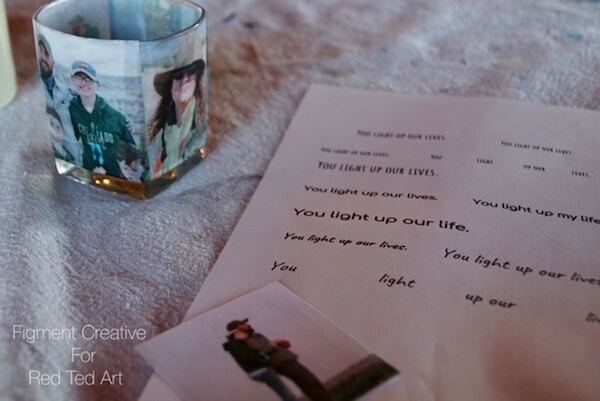 Hope you love these Personalised Photo Candle Holders DIY as much as we do!! What a great project. 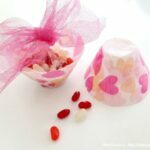 Looking for more Kids’ Valentines Day ideas..? Why not try these?